DigitalShor: Write Great Website Content. With millions of websites are making their way each year, it becomes imperative to distinguish your website from other websites to get a better visibility. So how one can ensure that his website is unique from others or when a user lands his website, he is encouraged to explore further. As I have taken this task for my website, trust me it is one of the trickiest jobs in the world. It is like writing a comic book, with less of pictures and more of dialogue. So the content has to be explicit in a way to cover up for less of pictures in the comic book.The reason I have put forward this analogy is that it is easy to capture reader's attention with pictures than with content.You must have noticed little kids flipping through Comic pages with pleasure. They concentrate mainly on pictures and remain completely oblivious to content. Our reader is like a little kid, so what would you do- you use pictures on your website, without making it too heavy, use different font, witty language, different colors etc. I was looking to do more than these usual tips. 1. Understand your portfolio and services- How are your offerings different and Who is your target segment? List down your portfolio of services/products. Use FAB approach- List down features, Advantages and then write down benefits of each service. The most important is to connect benefit with social appeal, ROI and solid examples from real world. The content should be written in an easy, intriguing and simple words.People like to get information, fast and easy. Give the information straight and to the point. In short, talk in bullet points. 3. Give your customers confidence in you. Your customers should believe in your offerings, your reputation and your mission. Be different and vibrate your uniqueness, creativeness in your website. If you can show videos, it will help in gaining confidence and face always helps. 4. Finally, Mission is very important and should be crystal clear. 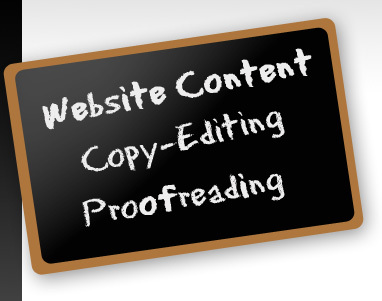 To conclude, one must do multiple proofreads, gather opinions and structure one's content before publishing on the website.